Cold air pushing down through Montana this morning, with snow down along the east side of the Continental Divide down to fairly low elevations, like around Pendroy, MT located northwest of Great Falls and just east of the Rockies ( Web cam pic below). And snowing down into Southwest Montana around Bozeman & Livingston. 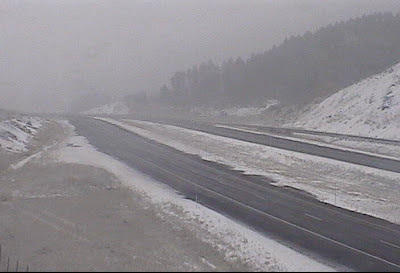 (See pic from cam on Bozeman Pass). And Beartooth Pass closed this morning, due to winter weather! Snow showers will push down through parts of Yellowstone Park today, along the Continental Divide. In Jackson Hole, we'll get the cold air, and the wind out ahead of that push of cold air, but snow will stay east of the Divide. 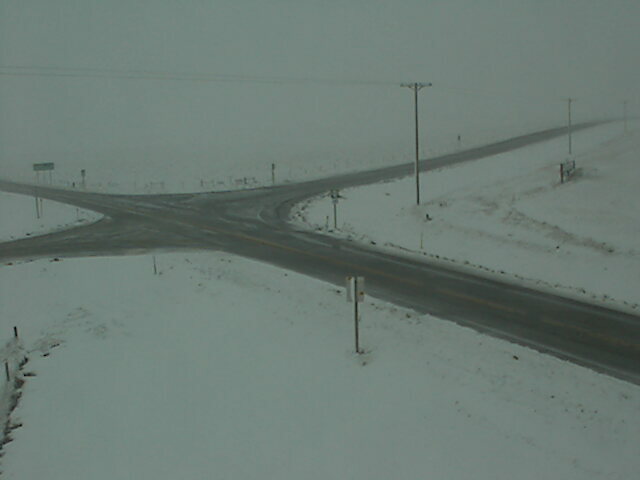 Only a small chance of a few flakes over the west side of the divide in Northwest Wyoming today. Read more about what is causing the weather this week by reading the "Full Weather Discussion & Outlook" at the bottom of the Jackson Hole Forecast Page.